1. Recharge time: if the item charge 12 hours, and the battery will full. 2. 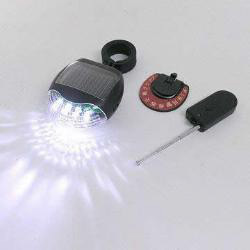 Slide switch > 4 pieces white LED light. 1. Size: 65 x 70 x 25mm. 2. Recharger battery: AAA x 2 pieces. 3. Remote control: 12V/27A x 1 piece.